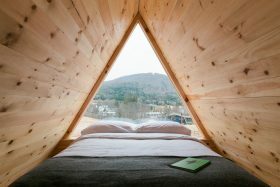 Off-the-grid, A-frame huts are all the rage in the Catskills. 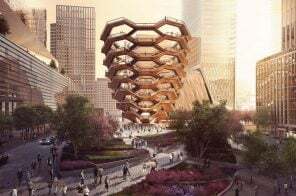 Last week, we wrote about Bjarke Ingels’ triangular prefab “inspired by the Catskills.” Now, another appearance makes the news as the Eastwind Hotel reopens June 1st. 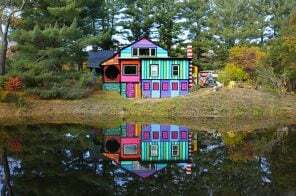 Just two hours north of New York City, Eastwind was originally built in the 1920s as a bunkhouse for hunters, fly fishermen, and outdoor enthusiasts. The hotel reopens in a few weeks with 19 rooms and three A-frame, glamping huts nestled in the woods. We’ve featured plenty of live/work and portable prefab spaces on 6sqft in the past, but this tiny house designed by Nice Architects might be one of the most efficient and adaptable housing solutions we’ve seen. 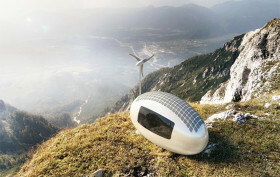 Called the Ecocapsule, the sleek micro-house is a totally off-grid construction that’s powered by solar and wind energy. Amazingly, at just 14.6 feet long and 7.4 feet wide, it has the potential to comfortably fit two adults. 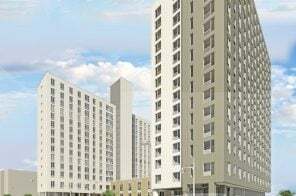 And on top of that, there’s a kitchenette, a toilet, and a shower with hot water.